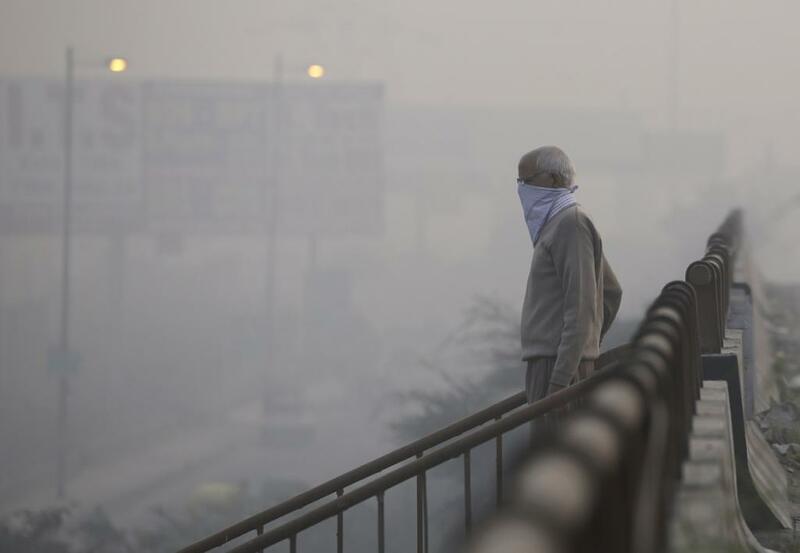 The recently released report on the health of states in India concluded that air pollution is the second leading risk factor for Disability Adjusted Life Years (DALYs), which is a measure for overall disease burden in India. In 1990, it was the third largest risk factor. Diseases triggered by air pollution, including cardiovascular diseases, chronic respiratory disease (COPD) and cancers, have shown dramatic increase since 1990, according to reports. While in 1990 COPD was ranked 13th among the leading causes of illnesses and today it occupies third rank. Globally, 4.2 million people died due to outdoor pollution in 2016, of which Asia accounted for 3 million. China and India each saw 1.1 million to 1.2 million deaths due to air pollution, which is defined as death earlier than expected in the absence of air pollution. Emissions originating from sources such as dust accumulation, burning of diesel and petroleum products, production of toxic chemicals, are causing major pollution in cities. According a 2015 study by IIT Kanpur, 38 per cent of particulate matter (PM) 2.5 and 56 per cent of PM 10 in the air is because of road dust. Sweeping road dust causes huge dust emissions and also clogs road drainage systems. Although cities such as Delhi, Noida, Pune and Mumbai have taken up vacuum cleaning, civic authorities complain of fund crunch and availability of appropriate vehicles in sufficient numbers. Plantation work also has been intensified. Dust is also caused due to construction work, industrial activities and burning of waste. Delhi and NCR banned construction work briefly in November 2017 as per the directives of the National Green Tribunal. Exhaust fumes and gases emitted from vehicles can severely impact human health. While most cities/towns are witnessing a rapid rise in the number of vehicles, the number of vehicles in Delhi alone is more than that of Mumbai, Kolkata and Bangalore put together. To protect health, country’s fuel refineries are undergoing modification to make cleaner fuel. From 1st April 2018, vehicles in Delhi will run with BSVI fuel. The Ministry of Petroleum and Natural Gas announced that cleaner fuels will be made available in other cities/towns next year. A growing number of vehicles can be checked by imposing disincentives for buying old and second-hand vehicles. Besides, authorities can issue registration of new vehicles for 10 yrs, ensure designated parking place and putting a ban on 10 year-old diesel vehicles. This should be complimented by a simultaneous augmentation of the public transport system in cities. A bus can typically carryover 8 times as many people as cars and proportionately use a fraction of the amount of energy per passenger. Although the Delhi government had planned to add 2,000 buses to DTC this fiscal, the augmentation hasn’t happened so far. There is a need to establish last mile connectivity from all major metro/bus stations through feeder services. Containing air pollution of this magnitude is a daunting task in the absence of an effective regulatory framework. Many cities and towns, such as Lucknow, Kanpur, Agra and Moradabad don’t even have enough air quality monitoring stations. Municipal corporations have a major role in maintaining air quality standards in any city. Since waste burning aggravates air pollution, corporations should aggressively promote segregation of household waste. This is not to say individuals should not play an active role in supporting waste segregation. Non-compliance of regulations on waste disposal should be dealt with firmly. Corporations too need adequate support to establish state-of-the-art waste management facilities. State Pollution Control Boards, which are entrusted with an onerous task of monitoring pollution control, need to be strengthened. Consultations with domain experts, improving infrastructure and preparing a road map can be some of the ways to support the boards. Air quality monitoring authorities can plan well in advance to control and monitor pollution. One of the ways is to set a deadline for themselves to achieve standard air quality and take measures accordingly.